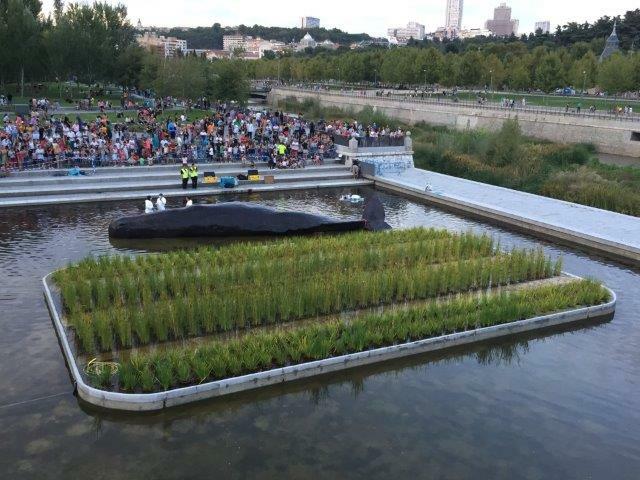 In the weekend of 15-16 September 2018, a constructed island of cattails in Manzanares river, Madrid, Spain, was the setting of the performance ‘Whale’ by Captain Boomer Collective from Belgium, which aimed at raising awareness on human effects on environment. 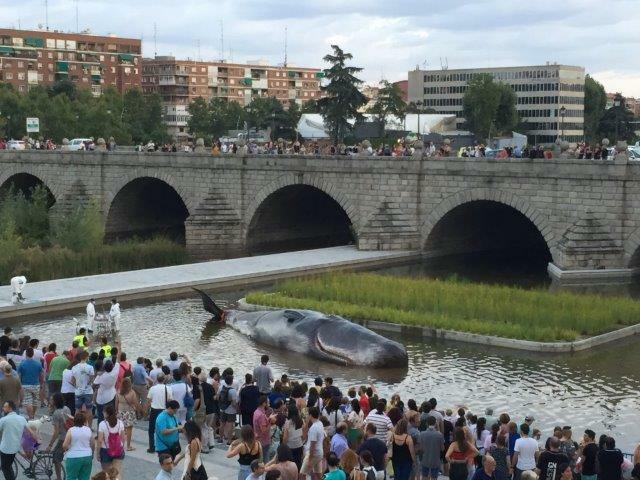 Madrid has been taken measures to improve City’s environment, particularly in the vicinity of Manzanares river, in the past a contaminated water stream receiving waste water from Madrid households. Reclamation works in the Manzanares area have made that this river has become the home of a variety of wild life, including aquatic plants such as cattails, and aquatic birds such as ducks. At the right bank, next to the historical Segovia Bridge, there is a constructed island of cattails within an artificial pond that was installed for better integration of the river into the neighborhood. With a large volume of public next to the pond, cattails have proved to be an excellent setting for an environmental performance. One could say that this is a new point of interest of cattails.